1.Herbivory insect induced plant volatiles: evolutionary products of plant-herbivore-natural enemy interactions. 2.Progress regarding insect cytochrome P450. 3.Advances in research of fluvalinate resistance in Varroa destructor: sodiu m channels involved. 4.Application of the patch-clamp technique in insect toxicology research. 5.Health risks associated with house ants and control methods for these pests. 6.Advance in taxonomic research of the Trogidae. 7.Effect of host plants on cold hardiness of overwintering pupae of the cotton bol lworm, Helicoverpa armigera. 8.Relationship between lunar phase and capture rate of cotton bollworm moths using poplar twig bundle traps in Tongzhou, Jiangsu Province. 9. Biology of the wheat stem sawfly and control countermeasures. 11.Preliminary observation on damage and occurrence of lawn pests in Shanghai. 12.Relationship between the percentage of the egg-laid banana trunks and the density of Erionota torus eggs. 13.The super-cooling point of diapause and nondiapause larvae of the masson pine caterpillar, Dendrolimus punctatus. 16.Formation of vitelline material ultrustractures in Teleogryllus mitratus. 17.Diversity of butterflies in Yaoluoping. 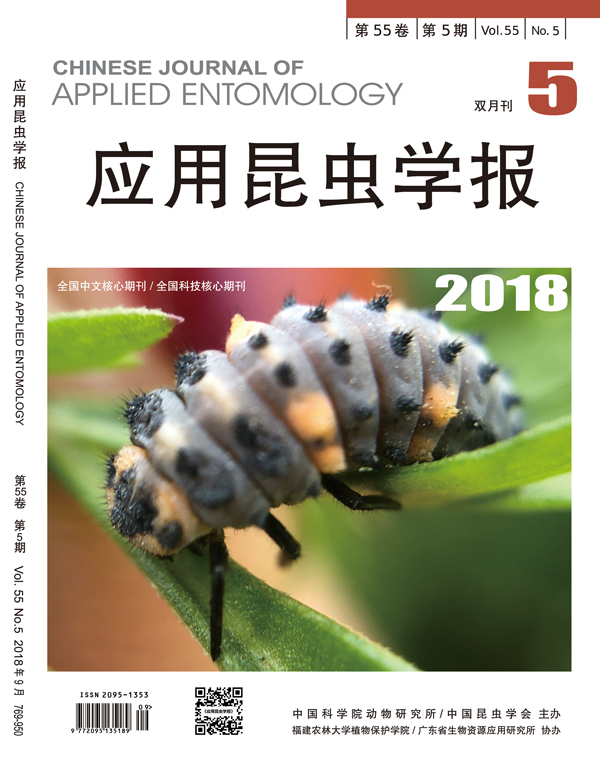 18.Bionomics of Lissorhoptrus oryzophilus in Tongcheng, Anhui Province. 19.Toxicity of four insecticides to Aphis gossypii. 20.Effectiveness of several insecticides on control of Cnaphalocrocis medinalis larvae in the fieids. 21.Spatial patterns of Hylobitelus xiaoi larvae and their sampling methods. 22.Rearing Actinote thalia pyrrha and Actinote anteas on potted Mikania m icrantha. LI Zhi-Gang2,HAN Shi-Chou1,GUO Ming-Fang1,LI Li-Ying1. 25.How to abbreviate English titles of entomological periodicals.